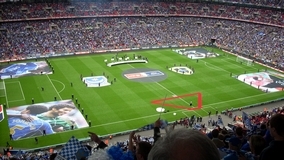 The match was the 127th FA Cup Final, and the second to be held at the new Wembley Stadium since its redevelopment. 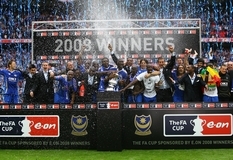 The match was contested by Portsmouth and Cardiff City, with Portsmouth winning 1–0. This was the first time that the two sides have ever met in the competition. 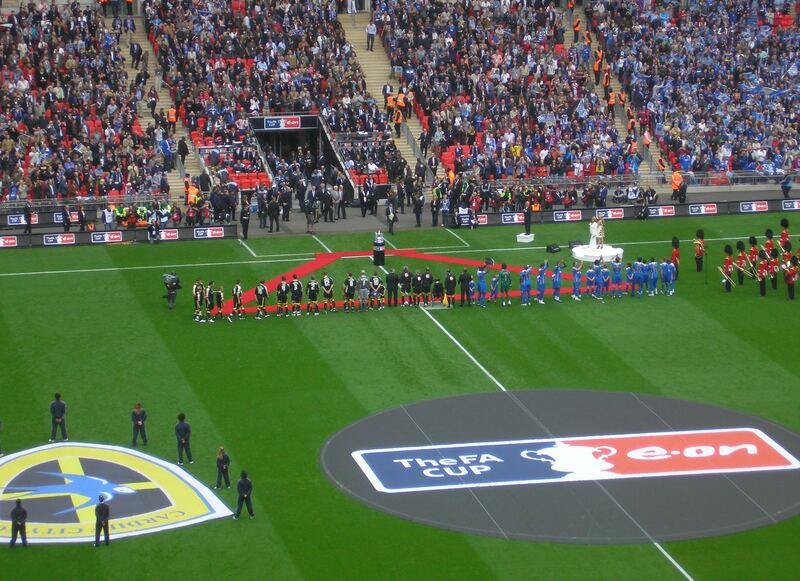 Both teams were aiming to win the FA Cup for the second time, Cardiff having won it in 1927 and Portsmouth in 1939. 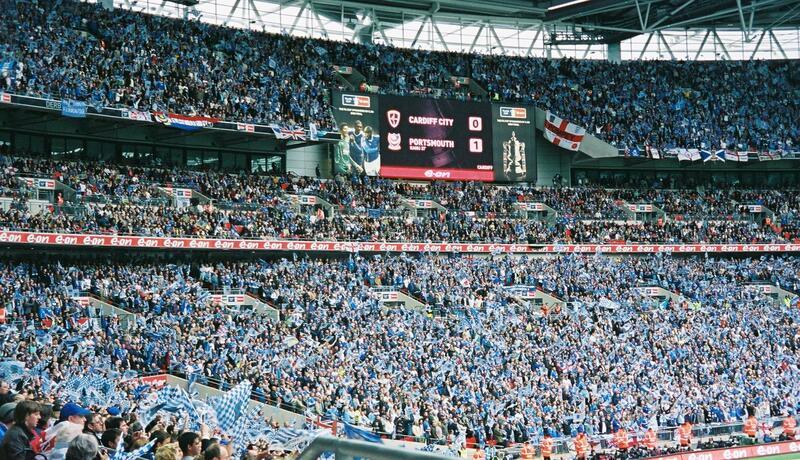 Had Cardiff won, they would have been the first club from outside the top division of English football to have won the competition since West Ham United in 1980. 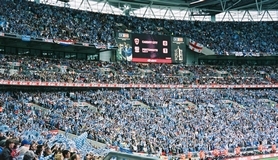 The match had an attendance of 89,874, a record which still stands as the largest ever for an FA Cup Final at the new Wembley Stadium. 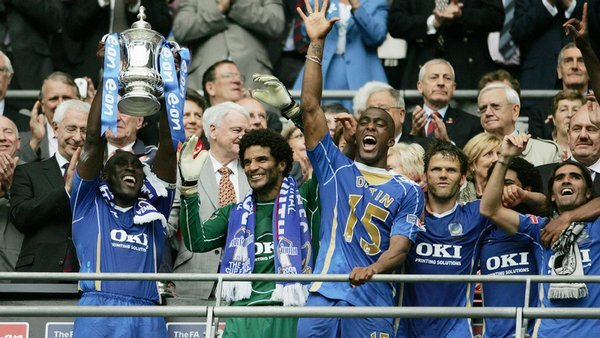 Kanu’s first-half goal won the FA Cup for Portsmouth against Cardiff City in a low-key final at Wembley. The Nigerian scrambled home the winner at the near post eight minutes before half-time after Cardiff keeper Peter Enckelman fumbled John Utaka’s cross. Cardiff enjoyed possession but rarely posed a serious threat, although Glenn Loovens had a goal ruled out for handball in first-half injury time. And Portsmouth held on to claim the trophy for the first time since 1939. It was a personal triumph for emotional Portsmouth boss Harry Redknapp as he claimed his first major trophy in a management and coaching career stretching back 25 years. He raced on to the pitch afterwards to celebrate as Portsmouth’s win earned them a place in next season’s Uefa Cup – their first European adventure. The final was given a magnificent backdrop by both clubs’ noisy and colourful fans who clearly wanted to make the most of their moment in the limelight. 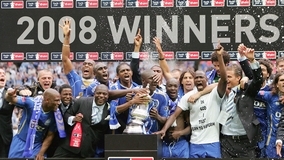 Underdogs Cardiff, who were trying to become the first team from outside the top flight to win the Cup since West Ham United beat Arsenal in 1980, played with spirit, but did not have the quality to seriously disturb the Pompey defence, in which Campbell and Sylvain Distin were outstanding. Cardiff boss Dave Jones did not gamble on Robbie Fowler, even as a substitute, after four months out with a hip problem – and his side did not feel his absence in a lively start. Joe Ledley played in Paul Parry in the 12th minute but Portsmouth keeper David James made a crucial block to deny Cardiff the lead. Kanu posted the warning signals for Cardiff as early as the 21st minute when he took a pass from Sulley Muntari in his stride and danced around keeper Enckelman, only to send his effort against the outside of the post with the goal unguarded. He made no mistake eight minutes before the interval when Enckelman could only push out Utaka’s whipped cross from the right flank and Kanu pounced to score. Cardiff had more than held their own and almost provided an instant response when Parry raced clear down the left, but his cross stretched Kevin McNaughton as he arrived at the far post and the chance was gone. 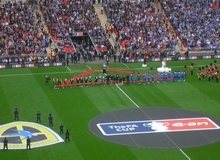 And Bluebirds had a goal ruled out in first-half injury time when Pompey keeper James – who has form for high-profile mistakes in FA Cup finals – missed a corner, but Loovens handled before sending a looping finish into the net. Loovens came to Cardiff’s rescue after 52 minutes when Utaka set up Kanu again and he was forced to block a goal-bound shot with his chest. Cardiff failed to apply consistent pressure to Portsmouth and boss Jones made a change after 61 minutes, sending on gifted 17-year-old prodigy Aaron Ramsey for Peter Whittingham. It had been a desperately disappointing afternoon for the veteran Jimmy Floyd Hasselbaink, so it was no surprise when he was also hauled off with 20 minutes left and time running out for a Cardiff response. David Nugent had come on as replacement for Utaka, and he forced Enckelman into a smart near-post save from a rising drive as Portsmouth attempted to kill the final off. Loovens had proved to be a danger man for Cardiff at set-pieces and he sent a header bouncing just over the bar from Ramsey’s corner after 79 minutes. Cardiff’s desire to push forward for an equaliser left them open to a counter-attack and Distin almost punished them with a run from the half-way line that was only halted by a fine tackle from Roger Johnson. 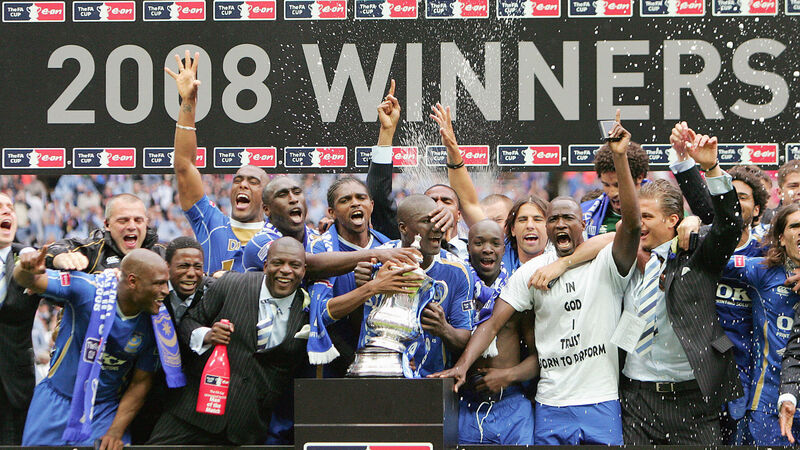 But it was Portsmouth’s day as for once the favourites justified their tag in this season’s unpredictable FA Cup. 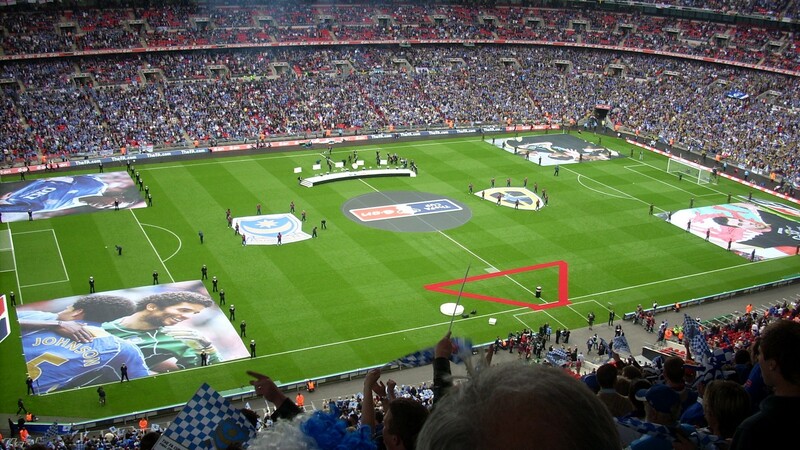 To their credit, many Cardiff supporters stayed inside the stadium to see Pompey lift the Cup before they melted away to contemplate their sorrows. 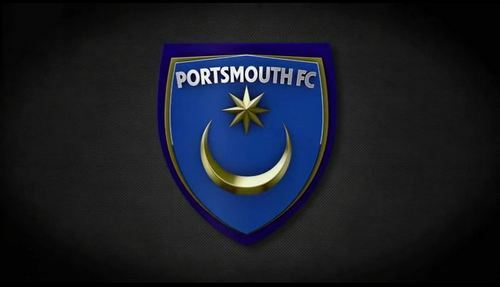 Portsmouth: James, Johnson, Campbell, Distin, Hreidarsson, Utaka (Nugent 69), Pedro Mendes (Diop 78), Diarra, Muntari, Kranjcar, Kanu (Baros 87). Subs Not Used: Ashdown, Pamarot. Cardiff: Enckelman, McNaughton, Johnson, Loovens, Capaldi, Ledley, Rae (Sinclair 86), McPhail, Whittingham (Ramsey 61), Parry, Hasselbaink (Thompson 70). Subs Not Used: Oakes, Purse.